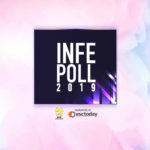 INFE Azerbaijan revealed a list of the 15 acts that took part in Azerbaijan’s national broadcaster’s auditions, which aim to find the country’s next Eurovision representative. The first round of auditions took place on November 20. Azerbaijan hasn’t opted for a televised national selection format since 2014. The latest years it has been selecting it Eurovision acts and entries via an internal process. The Land of fire debuted in the contest in 2008 and since then they have been present in every single edition of it. In 2011 The duo Eldar & Nikki gave the country its one and only victory with their entry Running scared, leading the Eurovision event next year in the capital city of Baku. The country counts 11 participations and hasn’t missed a year since its debut. In 2018 Azerbaijan was represented by Aisel and her entry X my heart, despite a dynamic performance she failed to qualify to the Grand Final.